Police photo of Adil Öksüz shortly after the 2016 coup attempt was quelled. Öksüz is one of the most wanted men in Turkey and is accused of conspiring with Gülenist officers in an attempt to topple the government. An arrest on Friday highlighted the challenge Turkey faces fighting the Gülenist Terror Group (FETÖ). E.Ö., a police chief in charge of the organized crime unit in the northwestern city of Sakarya, who oversaw the operation to hunt down a fugitive FETÖ figure, was arrested for links to the group's secret network in law enforcement. The suspect, who was earlier suspended from duty, used to head a police unit tasked with capturing Adil Öksüz, an alleged mastermind of the July 15, 2016 coup attempt. Öksüz, a theology lecturer in Sakarya, has disappeared after his controversial release from brief detention for a few hours. He was captured at the command center of putschists in the capital Ankara. Thousands of people were arrested or detained in the aftermath of the coup attempt that killed 250 people. Authorities say infiltrators of FETÖ in the military carried out the coup attempt. Thousands of others were suspended from their jobs in law enforcement, military and the judiciary for suspected links to the terrorist group. This left few resources at the disposal of security forces tasked with bringing FETÖ members to justice. More importantly, authorities believe there is still a wide, hidden network of FETÖ members active in the police, judiciary and military, despite almost daily nationwide operations to capture the suspects. Along with E.Ö., police arrested an inspector working at the same unit tasked with searching for Öksüz. Adil Öksüz was last seen in Sakarya hours after his release from detention in Ankara. He left his car there before contacting relatives in the city for the last time and then disappeared. His wife and children had already traveled to the United States, where they still live, while Öksüz is believed to be in Germany or another European country. Turkey has sought investigation by German authorities for possible whereabouts of Öksüz who reportedly hid in a FETÖ "safe house" in Berlin according to Turkish media outlets. FETÖ used its "imams," or point men, to activate its infiltrators in the military for its bid to seize power in 2016. 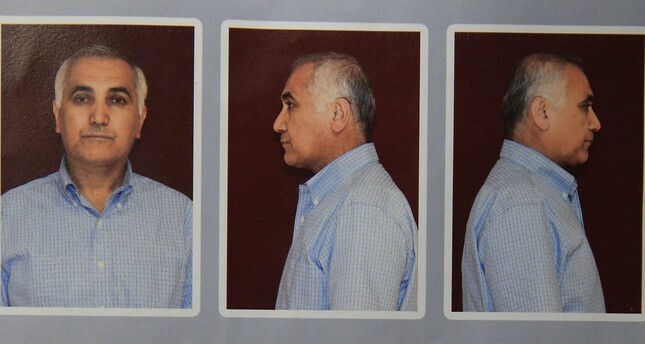 Adil Öksüz held meetings with the senior cadre of putschists according to witnesses, to plan the attempt. Prosecutors say he frequently visited Fetullah Gülen, FETÖ's leader, at his Pennsylvania retreat. He is currently on the Interior Ministry's most wanted list, with the ministry offering up to TL 4 million (nearly $981,000) for tips leading to his capture. Also on Friday, security forces detained 33 former police officers for links to FETÖ's network in law enforcement. Ankara Chief Prosecutor's Office issued arrest warrants earlier for 48 former officers and a manhunt was underway to capture the remaining suspects when Daily Sabah went to print. Among the suspects are four former police chiefs. Media outlets report that the operations are part of a probe into the secret network of FETÖ members infiltrated in law enforcement after 2014, one year after the terrorist group staged two coup attempts to seize power. After the infamous December 2013 probes by FETÖ-linked police and judiciary members that sought to falsely implicate cabinet ministers in a graft inquiry, Turkey moved to weed out suspected loyalists of FETÖ in the police, military, bureaucracy and judiciary. Yet, followers of the group managed to hide themselves in law enforcement thanks to the widespread clout of FETÖ everywhere which helped them cover up officers' links to the group. Police also detained 10 suspects including eight military officers in another FETÖ investigation by prosecutors in the southwestern city of Muğla on Friday. Two other suspects were "imams" or FETÖ's non-military point men responsible for controlling the infiltrators in the military.